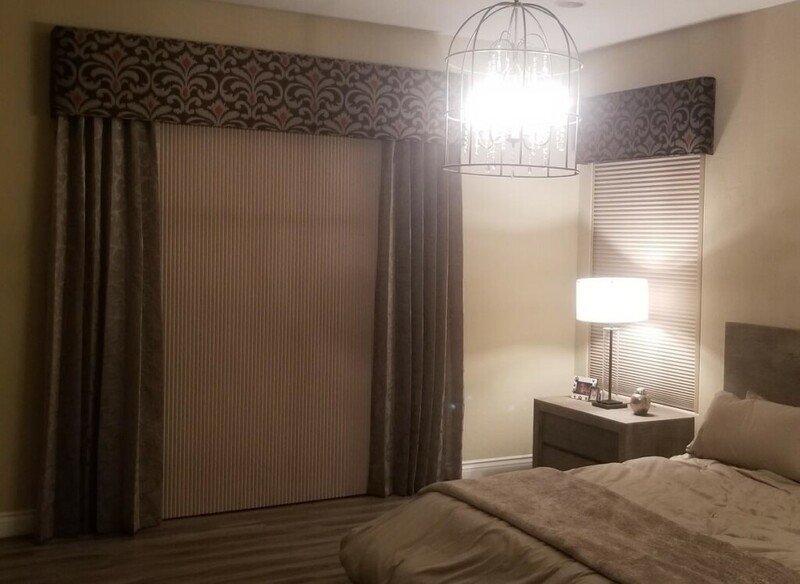 To complement our full range of window blinds, shades, awnings, and exterior coverings, Home Impressions Inc. is pleased to offer custom draperies and bedding. If you’re ready for one-of-a-kind window draperies, coordinating custom bedding, or other fabric finishes for your Las Vegas-area décor, we have what you need. Call now to schedule your in-home consultation or drop by our showroom to learn more! Led by experienced interior design professionals, we can help you get the very best in custom draperies and bedding. We offer complete in-home design services for your convenience. We’d love to come to your house to discuss what you envision and how we can help make it a reality. Our professional decorators will design the custom draperies or bedding that coordinate with your style, taste, and decorating scheme. This personal touch allows us to really know what you want and offer you the pieces you need to create a gorgeous, finished room. From taking measurements to showing you fabric and pattern samples, we’ll provide you with the information you need to select an exquisite custom bedding set, draperies, or other decorating finishes. Flowing, soft, and beautiful, window draperies put the finishing touch on just about any window. A lovely complement to window blinds and shades, window drapery can also be a practical stand-alone window treatment. At Home Impressions Inc., we’re pleased to offer a full selection of custom window drapery options. Our professionals can create completely custom drapery to suit your space and your style. With a huge collection of luxurious fabrics in a vast palette of colors, patterns, and textures, we’re sure to have one that’s right for you! Our team can pair these gorgeous materials with a variety of different drapery patterns to bring you the ideal look for your home or office. Home Impressions Inc. wants to help you create your ideal sleeping space with custom bedding. If you have a unique color palette or want one-of-a-kind décor in your home, our professionals can help you select the fabrics, colors, and styles to get exactly what you want. From matching themes to creating specific textures, shapes, and more, the experts at Home Impressions Inc. are ready to provide you with high-quality custom bedding to fit your specifications. We are committed to helping you find the best quality solution to complete your room and keep you sleeping in style. In addition to helping you select and customize bedding for your home, Home Impressions Inc. can help with any other fabric finishing touches. We can create custom tablecloths, napkins, draperies, cushion covers, or anything else you need. Don’t feel limited when it comes to your home décor; Home Impressions Inc. is ready to help you with all of your custom bedding, draperies, and fabric needs! 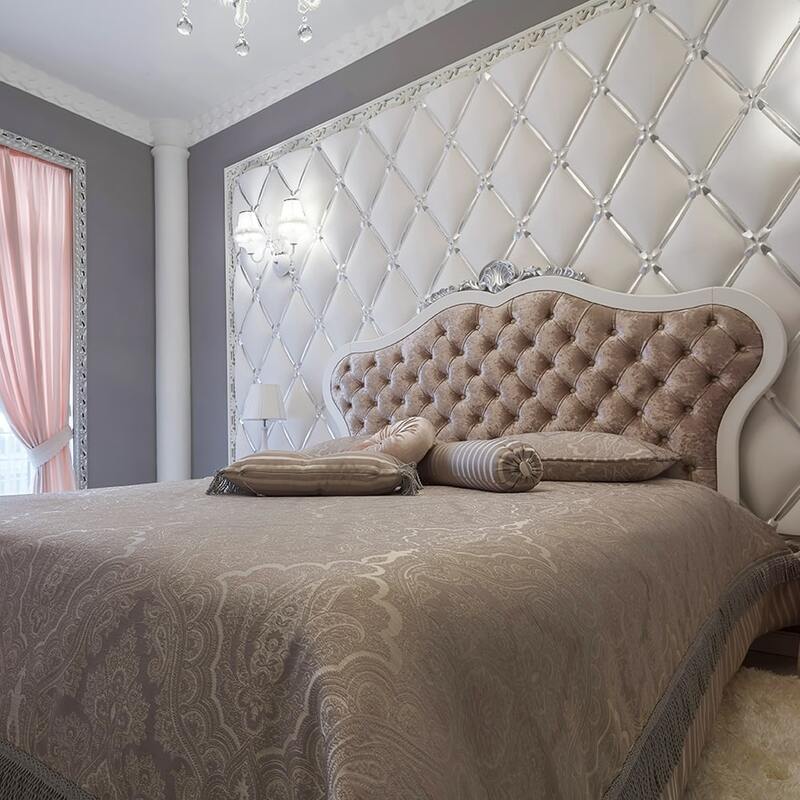 So whether you want to coordinate your bedding with your window shades or just want a unique look for your custom drapery, Home Impressions Inc. is your one-stop shop in Las Vegas. Call or e-mail us today for more information regarding putting the finishing touches on your home and your décor. Conveniently located right in Las Vegas, Home Impressions Inc. provides window shades and blinds as well as exterior shade solutions to customers throughout the region. We serve Henderson, Boulder City, Spring Valley, Paradise, Sunrise Manor, Enterprise, Pahrump, and beyond.